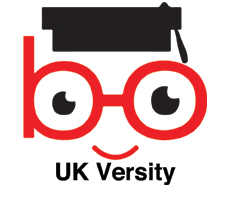 UK Versity > News > News > WHERE CAN YOUR QUALIFICATION TAKE YOU? The modern job market isn’t an easy thing to navigate, technology seems to have created job titles that didn’t exist before and competitiveness makes even simple interviews daunting. It can be hard to know what will give you the edge for potential employers. Experience, degrees, connections, or simply how well you handle interviews can play a part in how your employers see you. Gaining a qualification can be another way of making you stand out in the job market. A university degree may be required for some jobs, but these days a lot of employers look for someone who has been trained in the position they want to fill. The good news is that the number of vocational courses available has increased dramatically and it’s never been easier to get one. Many industries are crying out for qualified staff, from healthcare to IT. This has also increased the number of courses available for these industries. It’s now quick and easy to fill in your details online and almost immediately begin a distance learning course for one of the thousands of qualifications. This means you can study in your own time, and fit your learning around family commitments or your current job. This is also ideal if you are looking to move up in your industry, gaining experience and learning at the same time. Online courses cover many levels, meaning you can top up your learning and take advantage of opportunities. You can continue to progress in your field, taking the chance to increase your knowledge as you build up your experience. Learning is an ongoing process and with online courses, you can access lessons and webinars 24/7, almost anywhere. This not only works for those who are looking to move forward in their industry but also those who are returning to work. Modern lives are defined by change and it’s no longer standard to either remain in one job your whole life or to focus on family duty rather than a career as your vocation. Many people either switch jobs or choose to return to work after a long absence. The flexibility of online courses is also hugely beneficial in these cases. Learning can be scheduled around other commitments, and you don’t have to face the uncertainty of trying to enter into a new industry without any prior knowledge. Already having a qualification will give you the edge, even if your previous experience is in another job, or no job. Even if you are completely new to job hunting, if you’ve just left school or university, looking at gaining a qualification is one of the best ways to get yourself noticed. The number of people who study at university has increased dramatically over recent years, and for some employers, it might not be what they are looking for. Certain industries in particular actually prefer someone who has studied a course specific to the job. The combination of a degree and qualifications can also really give you the edge in many areas of the job market. Online courses are often specifically tailored to suit positions in growing industries. Levels in courses mimic career advancement, making it easy to move ahead in your job. For example, a healthcare qualification will start at entry level – covering the basic knowledge essential for the industry, and higher levels will cover management and leadership within the area. Sections of the courses will cover a specific area and skills of the industry, and be updated to move with the times. A common problem with the modern job industry is that many jobs demand experience in a similar position, which can make it difficult to enter a new career. Completing a career specific qualification can be a great way to solve this issue. Because these courses focus on specific skills required within a job, they can make you stand out to an employer even without years of experience. Essentially a course can act as the equivalent of real experience in a career, making it easier to get the job you want without need to have worked in it already to do so. Ultimately its so easy to gain a qualification through online courses that it’s worth looking at how such a course might help you. If you have a specific goal in mind there are many ways in which studying for a qualification can help you achieve it. Take a look at what’s available and ask how the industry you want to work in can benefit from the skills you could learn.